Presented every year since 2010 to a business that helps the city thrive with a growing economy, the South Jordan Corporate Citizen Award 2015 is awarded to Jerry Seiner Auto Group. 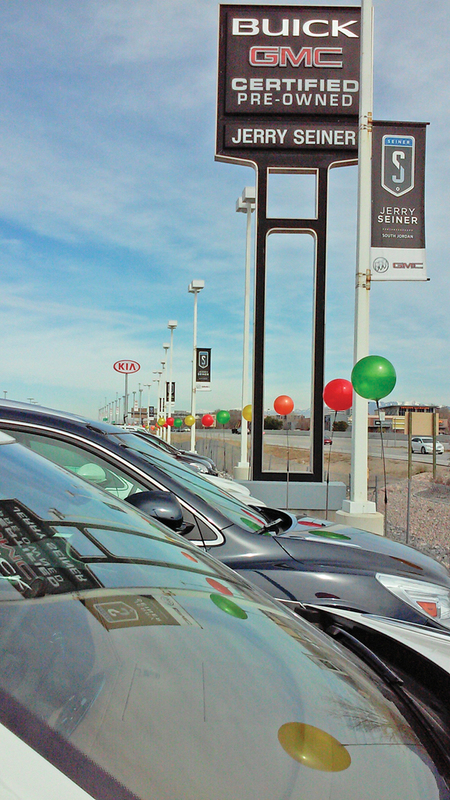 Located at 10487 South Jordan Gateway near I-15, the auto dealership sells new and used Buick and GMC products, and offers a complete service center for vehicle repairs. City Manager Gary Whatcott honored the company for contributions to the city, and noted that “Jerry Seiner joins the list of many distinguished corporate citizens” that contribute to the life and vibrancy of the area. Previous recipients of the South Jordan Corporate Citizen Award have included: Merit Medical, Ultradent, Rio Tino, Sam’s Club, and The Boyer Company.